A good MacBook bag shares many qualities with a MacBook. We want it to be tough, so it needs to be made from good materials. We want to use it for multiple tasks, so it needs to have plenty of pockets and compartments. (And let’s admit it, with the diminishing number of ports on the MacBook, the bags often have the edge.) And since we all admire good design here, we certainly don’t mind if the bag looks fantastic. All of the bags below fit those criteria, but we’ve been careful to choose bags that meet specific needs. One of these bags will keep your MacBook safe on rainy treks, while another stands out for letting you easily grab your stuff. One is here mainly because it manages to meet the above criteria without costing as much as a HomePod, and all of them have a laptop sleeve for stowing the MacBook. Keep in mind that every bag here won’t fit every MacBook. We used to have a rule that we’d only cover bags that could handle the older massive 17-inch MacBook Pros, but we’ve adjusted that in light of the current smaller and thinner MacBook design. If a bag can’t handle the 15-inch MacBook Pro, we’ve been sure to make a note of it. This no-frills backpack is compact and versatile enough to become a trusted companion on your commute to work. 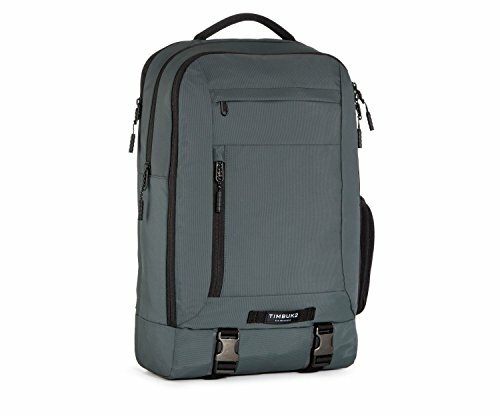 Timbuk2 has a great reputation for making durable, well-designed bags, and its newest Authority Pack collection, released in May 2017, is no exception. At first, the Authority Pack (MSRP $129, available on Amazon) may not look special or particularly impressive, but the Authority Pack’s unassuming style makes it suitable for an office environment, and it’s durable enough to withstand a tough commute. 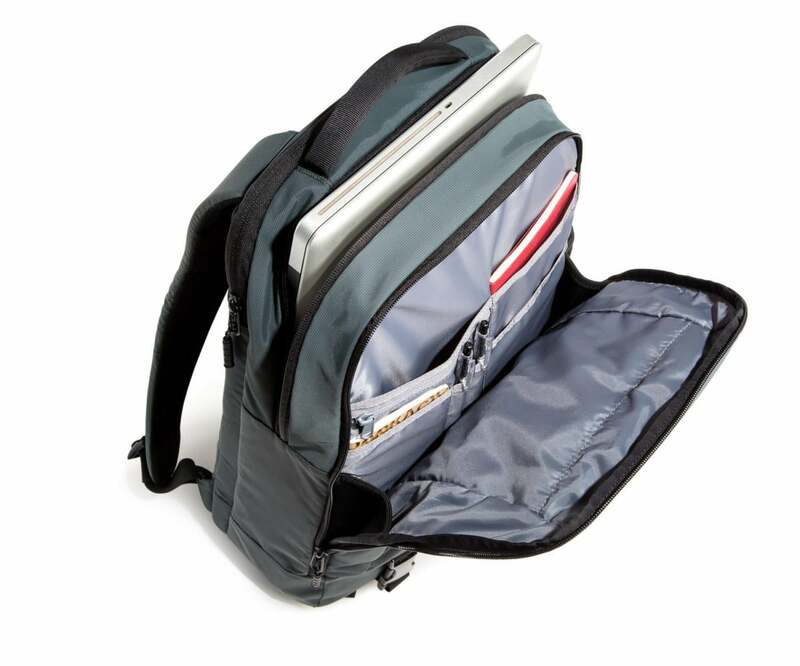 The Authority Pack has a separate padded compartment big enough for a 15-inch laptop that you can get to without a fuss. The backpack also has two main pockets, one designed for carrying your hoodie, gym shoes, or a six-pack of beer. The second-major pocket has an internal organizer so you can keep your iPad, notebooks, chargers, and stationary stored neatly (or not). There’s also a side pocket on the front for storing things that you need to take out quickly, like your smartphone or your house keys. And don’t worry about a water bottle taking too much space inside these main compartments: The Authority Pack also has a stretch-y external bottle holder on the side. The Authority Pack can certainly fit a lot, yet Timbuk2 made it from a lightweight fabric so it rarely feels too heavy. And unlike other bulky backpacks, the Authority Pack is more compact so it doesn’t take too much space even in crowded subway trains or buses. You can also adjust the compression straps at the bottom so it can expand or contract based on what you need to carry. If you bike to work and find yourself working late, you’ll be grateful for the reflective tape under the compression straps as well as the reflective zipper pulls. Built to sustain the toughest elements yet designed to be stylish enough for the city, this messenger bag is as close to perfect as they get. 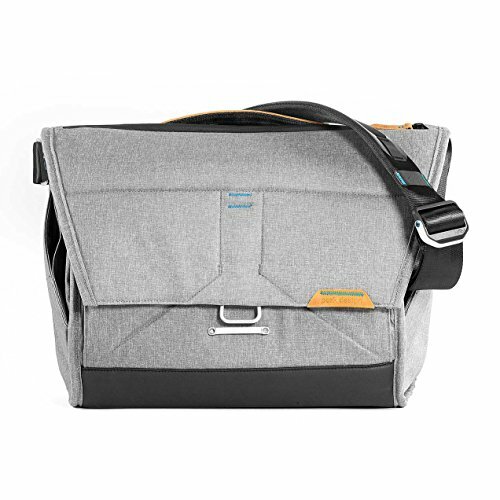 By design, messenger bags all have one unique problem: They have to be able to give you easy access to your stuff and also keep your stuff securely stored. Zippers can get stuck, and undoing a buckle is not always easy. The best solution to this problem that comes from San Francisco’s Peak Design. 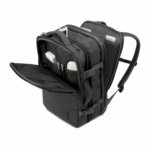 The company’s Everyday Messenger bag (MSRP $219.95, available on Amazon) has a patented MagLatch closure that relies on a powerful magnetic strip for effortless access. You can also latch and lock the metal clip for added protection. This MagLatch system may sound tricky, but its takes just a few tries to get the hang of it. Even fully-locking it becomes intuitive very quickly—it’s actually fun locking and unlocking a metal latch on this bag. The outer shell is made from Kodra Nylon and coated with water-resistant wax for a tactical feel. 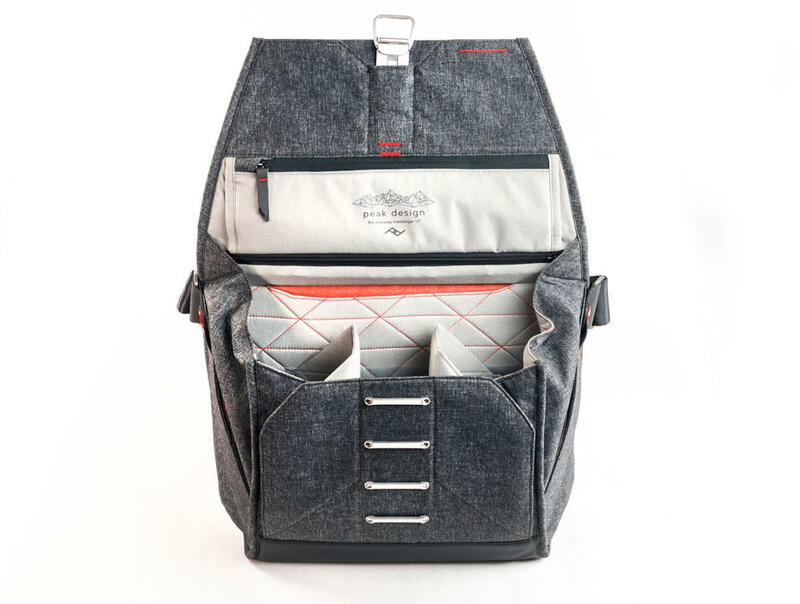 The interior is made from mixed-cotton twill and comes with origami-shaped dividers that you can arrange to organize everything from a DSLR camera to a drone. If you have to carry around a larger laptop, there’s a 15-inch version that’s $249 on Amazon. Sometimes it’s too much of a hassle to get stuff in and out of a proper backpack. Sometimes you need to cram so much into a messenger bag that it gnaws into your shoulder and hurts your back. That’s why I admire the full-size Sutter Tech Sling (MSRP $179) from WaterField Designs: It meets both these extremes halfway. Since it’s a sling, I can easily pull it around to my lap on the subway without taking it off. And once it’s in my lap, I have easy access to a big pocket where I stash frequently used items like my sunglasses and AirPods. 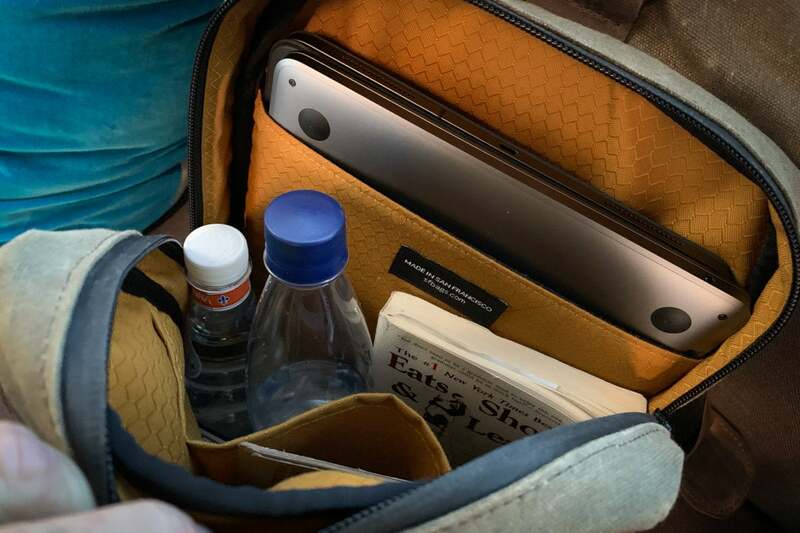 The main compartment isn’t as easy to get to, but it’s got a roomy back sleeve that can hold a 13-inch MacBook Pro or the latest MacBook Air. (Don’t count fitting in a 15-inch laptop, however.) Though the rest of the space isn’t huge, there’s enough room left over for novels, a water bottle, and even the case for my Bose QuietComfort 35s. A cam lock makes the strap almost as impressive as the rest of the bag. Most other bags insist that you take them off before you can adjust their straps, but the cam lock lets you tighten or loosen the slack on the Sutter Tech Sling within a matter of seconds—and while you’re wearing it, at that. The only real complaint is that the flimsy leather shoulder pad sometimes gets bunched up at the shoulders. The pad may not even be necessary, but WaterField’s $15 standalone leather shoulder pad makes an excellent alternative. If I know I won’t be carrying any heavy items throughout the day, it’s the bag I reach for the most. If you’d prefer to have one for your iPad rather than a MacBook, WaterField also sells a smaller “standard” versionRemove non-product link for $169. If you want to keep your MacBook Pro safe from the elements above all else, you can't go around with the Rhake VX. It’s got a big “secret” weatherproof compartment, too: You can put a 15-inch MacBook Pro in here and still have plenty of room left over. In its zeal for weatherproofing, though, the Rhake sometimes makes it hard to get to your stuff. Take the deep roll-top compartment: once it’s closed, you’re going to take a break to get items out of it (although a hook simplifies this process over the more secure velcro). It’s also hard to get to items in the front two compartments, as you need to go through both buckles and zippers before grabbing whatever’s inside. Fortunately, a deep top pocket makes it easy to access commonly used items, and a zippered pocket along the bottom makes it easier to stow chargers and items of the sort. 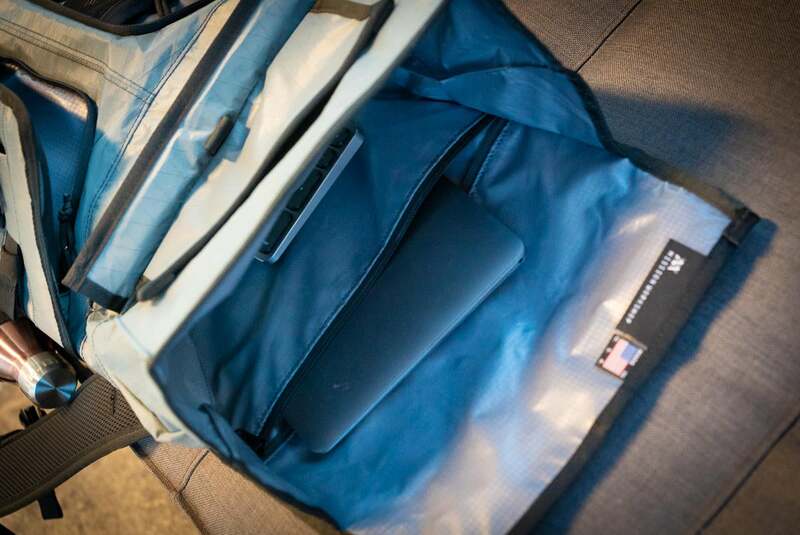 You’ll find a big zippered compartment along the back that lets you easily slip out a 15-inch MacBook Pro without holding up the line at the TSA. 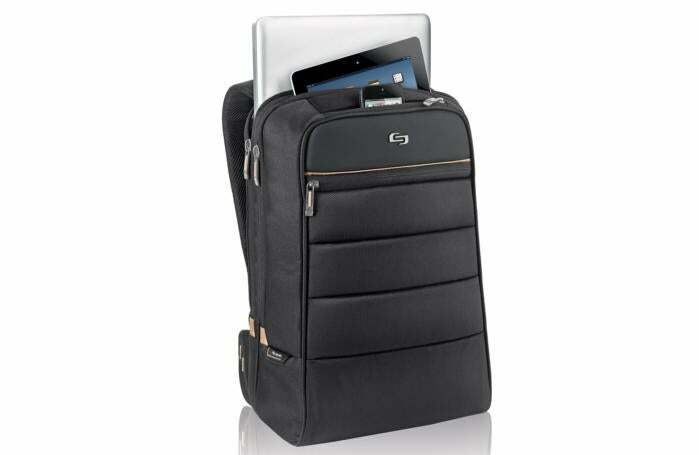 The ultimate travel companion, this backpack can expand to fit all your essentials while remaining carry-on sized. 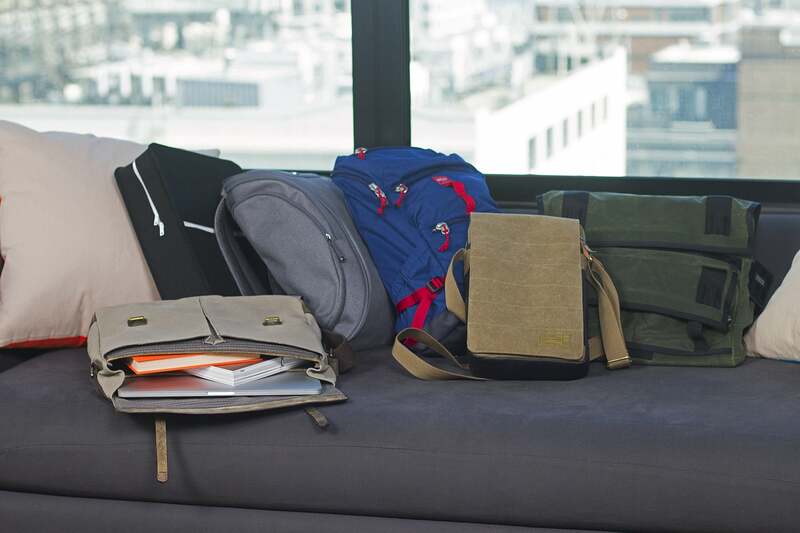 Incase is known for making stylish, top-notch accessories, so it’s no surprise that their travel backpack is the reigning champion in this category. The EO Travel Backpack (MSRP $179.95, available on Amazon) stores up to a 17-inch MacBook Pro in a separate sleeve so you can get to it quickly without having to shuffle all your other stuff around. And boy, can it fit lot of stuff, as the main compartment expands by 35 percent when you release the compression straps on the side. The EO Travel Backpack has a clamshell design so you can open it completely and lay it down flat, letting you easily pack all your things before a big trip. The shoulders straps are padded to soften the weight, and the back is made of breathable mesh so your back won’t get quite so sweaty during long travels. The backpack is also made of water-resistant fabric in case you travel to a stormy destination. And, of course, it’s allowed as a carry-on luggage. 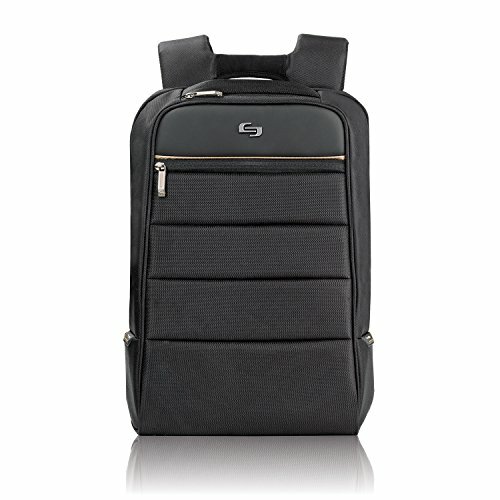 An affordable backpack that does not sacrifice style nor functionality, making it a valuable buy. The Solo Transit 15.6” backpack (MSRP $50, available on Amazon) is a budget-friendly version of the Klasden 3 Backpack. You can fit a 15-inch laptop in this version, but there’s also a bulked-up 17.3-inch version available now for $49 on Solo’s website. Both Pro backpacks are only available in black. Despite its price tag, there’s nothing about the Solo Transit backpacks that could be described as cheap. Sure, it’s made from polyester—hey, it’s water resistant!—and you won’t find leather accents nor a fleece lining. But the Solo Transit still makes a reliable everyday backpack, with a padded laptop sleeve, and a pocket for your iPad in the main compartment, plus an easy-access top pocket for your iPhone. Still, the best thing about it has to be the price.